THERE can't be many places where you're doing a bit of gardening - cleaning up some unwanted ivy, for instance - and you come across a stash of bronze artefacts that have been hidden for 3000 years. But that's what happened to Darren Little, a gardener on St Michael's Mount, the island castle just off the coast of Cornwall. "I was getting rid of the ivy roots," he said, "when I saw this chunk of bronze. I've done a bit of archaeology so I had an idea it was something interesting. "I continued poking round to see what it was, very carefully so as not to damage anything, and there were a whole lot more pieces. First I found a small axe head, then some ingots, pieces of swords and chisels, daggers, and a complete metal belt buckle, which is very rare." Altogether there were 49 pieces which were sent to the Royal Albert Museum to be cleaned, conserved, X-rayed and analysed to check their age. Darren's discovery rather underlines just how extraordinary the Mount is; a place whose remarkable history matches its spectacular appearance, making it one of the most fascinating places to visit in Britain. I've wanted to go there for, oh, 50 years, ever since I read a National Geographic article on the place, so I was more than usually excited when we arrived in the picturesque coastal village of Marazion and saw the distinctive peak, its base ringed with stone cottages and a small port, its summit crowned with the centuries-old abbey-fortress, temporarily linked to the mainland by a narrow causeway. Originally a hill rising from a coastal marsh, the Mount appears to have been used as as a camp by Stone Age hunters, possibly as far back as 9000 years ago. After the rising sea turned it into a tidal island it became even more sought-after, as an easily defensible refuge, during the Bronze and Iron Ages and 2000 years ago it was probably the centre of the ancient European tin trade. The island also has a long spiritual history. Mystics believe it is a focal point of the earth's energy, specifically the St Michael's ley line, and there is much speculation that it must have been a Celtic religious centre. It certainly became an early centre of Christianity. There is a legend that in 495, St Michael the Archangel appeared to local fishermen who afterwards built a church in his honour. St Cadoc and St Keyne are said to have had an important meeting there in the 6th century. It was also the site of an early monastery, possibly established in the 8th century, later given by King Edward the Confessor to the abbey of Mont-St-Michel, which occupies an almost identical island off the coast of Normandy. 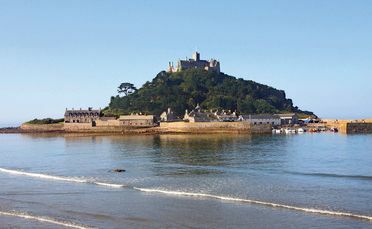 Down the centuries the Mount has been embroiled in numerous tussles for the throne, including the struggle between Richard the Lionheart and his brother King John, the Wars of the Roses and the Civil War, as well as religious upheavals, Cornish uprisings and attempted invasions. It was acquired by the St Aubyn family in 1659 and they have lived there ever since. The present residents, James and Mary St Aubyn, are the 12th generation to call it home. It's an amazing place to explore. For a start there's the stone causeway that - twice a day, between tides - provides access on foot and even by car for about four hours, and across which all the eager tourists must traipse, keeping a wary eye out for any holes created by battering waves or slippery algae left by the sea. You'd think that must make life rather tricky for the little community - 10 families and 34 people - living on the island but when I asked Darren about that he just shrugged his shoulders nonchalantly. "I was raised on the island and I've been working in the gardens here off and on since 1990, I met my wife here, we've brought up our two kids here, we're used to it. To me it's just home. "Of course living here is different. You can't just go to the pub or the shop whenever you want. The tide opens twice a day and you have to plan around that." Most of the island residents live in the cottages scattered round the foreshore but getting to the castle involves a steep climb up a stone pathway lined with amazing stories. Near the bottom, for instance, an elegant hexagonal building turns out to be the dairy used by the small herd of Jersey cows which until 1909 provided the island with milk. The beautiful stone wall lining the path turns out to be part of the fortifications built during a siege by the Roundheads. A brown heart-shaped stone in the cobbled surface is said to be the heart of the giant Cormoran who lived here and terrorised the locals until he was slain by a cunning lad called Jack. Cannon lining the battlements at the top were fired at a frigate during the Napoleonic Wars. Inside, the monastery-fortress-family home which dominates the hill it is equally fascinating. The entrance hall and ante room are filled with portraits and miniatures of the St Aubyn family - a mix of gamblers and geologists, warriors and womanisers - plus their monarchs and mistresses, allies and enemies. The library, with its 200-year-old gaming table and 300-year-old chairs, was originally the monastery kitchen and probably dates back a thousand years. The main hall, known as Chevy Chase - a reference to the plaster frieze of hunting scenes, not the appalling American actor - is filled with goodies like pieces of Roundhead armour found on the island, a selection of the St Aubyn family silver, pieces of stained glass dating back as far as 1450 and a 17th century leather jug. As with most former monasteries converted into homes, the place is a procession of strangely-shaped rooms linked by awkward passages and stairways, each with their own wonders: a fragment of the coat Napoleon wore at Waterloo, a set of gambling counters from the famous Brooks' Club in London, a grandfather tide clock (crucial to life on the island), a Samurai suit of armour, a mother-of-pearl chest from Zanzibar said to have belonged to the Duke of Parma and a 400-year-old map showing the location of Cornwall's various giants. Probably the most amazing place of all, however, is the Church of St Michael and All Angels, originally built for the monastery in 1135 but later enlarged. Its treasures include beautiful stained glass windows, an elderly stone lantern cross of Edward the Confessor and a more modern bronze of St Michael offering the hand of mercy to the defeated Lucifer, a stone cell discovered during renovation which held a very tall skeleton and a leather jug, some lovely alabaster religious carvings and a chamber which once held the monastery's sacred relics including the jawbone of St Apollonia the patron saint of those suffering from toothache. But in many ways the most extraordinary exhibition on the island is the collection of Bronze Age artefacts discovered by Darren which are now on display in a room of the castle. Archaeologists are still debating how those pieces came to be hidden away for 3000 years. National Trust archaeologist Jim Parry reckons they would have belonged to an ancient blacksmith. 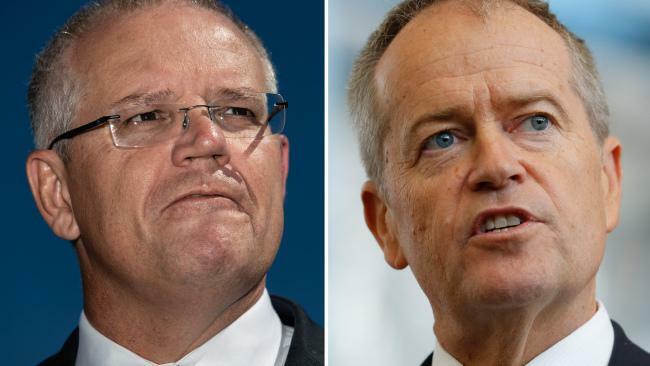 "They could have been stashed away when he was doing a deal and he didn't want to bring them with him, or it could have been a safe bit of overnight storage. "He could have had a smith's working area in front of him and just tucked some pieces behind him, forgot about them and moved on." But for Darrell the find, while exciting, was no great surprise. "Working in the gardens we're always finding things: lost paths and buried walls, canon balls and musket balls, buttons, coins, pottery, glass. The whole place is built on history."